Over the years, many questions have been asked, which I’ve answered as best as I can in the comments. I’ve answered a few FAQs in the notes below the recipe as well. Grease an 8- or 9-inch square baking pan (or something similar—I prefer this 8-inch pan because I like the thicker pieces) with butter or coat with non-stick spray. If you have parchment paper on hand, line the pan with parchment on top of the butter. Spread the batter into the pan. Sprinkle the batter with the remaining tablespoon of sugar. Bake for 35 to 45 minutes — a 9-inch pan will be done in closer to 35 minutes; an 8-inch pan usually needs 40 to 45 minutes. Check with a toothpick for doneness. If necessary, return pan to oven for a couple of more minutes. (Note: Baking for as long as 10 minutes more might be necessary, especially if you’re using a smaller pan such as an 8×8-inch.) Let cool at least 15 minutes before serving. Can this be made ahead of time? Yes. Prepare the batter, spread it into the prepared baking pan, cover it with plastic wrap, and store in the fridge. In the morning, if time permits, bring it to room temperature for 30 minutes. Sprinkle with the sugar, then bake as directed. It may need more time if the batter was refrigerated. Can this be doubled? Yes. 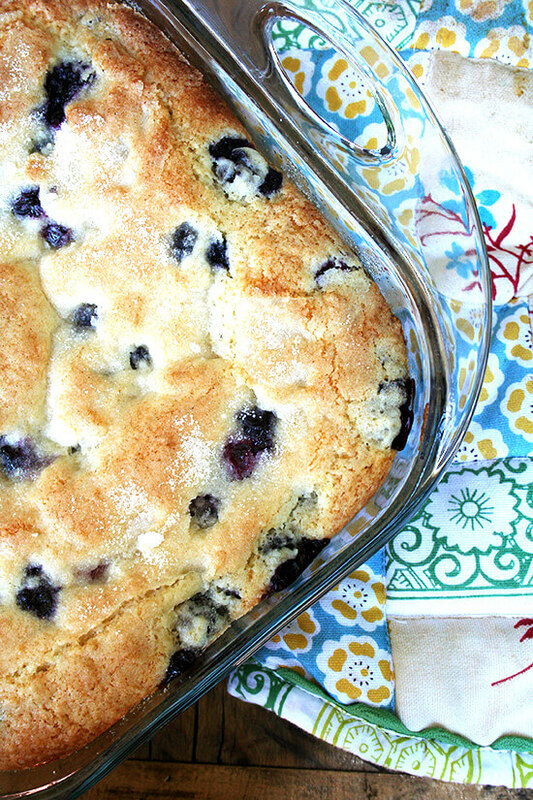 Bake it in a 9×13-inch pan … like this pan from Pyrex. Increase the baking time but begin checking at the 35 minute mark. What if I don’t have buttermilk? 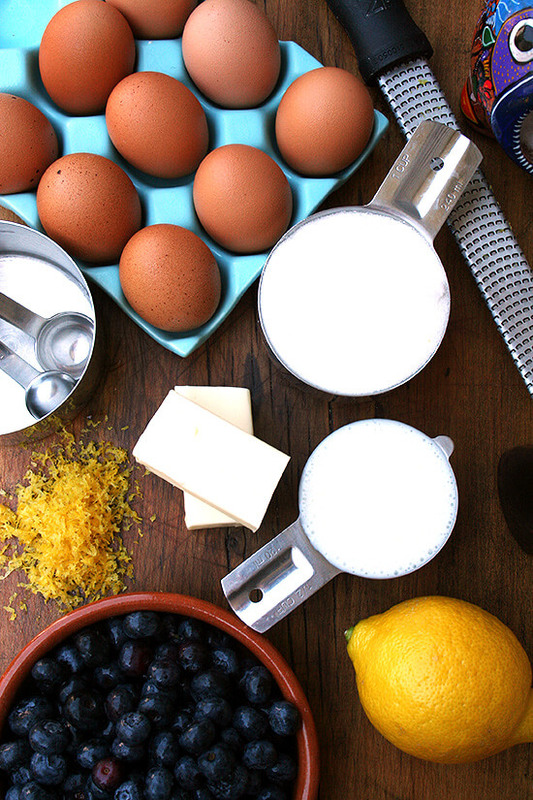 Use 2% or whole milk or make your own buttermilk: place 2 teaspoons of vinegar or lemon juice in a liquid measuring cup. Fill cup with milk until it reaches the 1/2-cup line. Let stand for five minutes. Use as directed. Can this be made gluten free? Yes. I like Cup4Cup and King Arthur Flour gluten-free flour mixes, but use whatever you like, keeping in mind that all gluten-free flours absorb liquid differently, so you may need to adjust to get the batter to the right consistency. Should the batter be thick? Yes. As with all baking, I highly recommend using a scale to measure the flour. I have this one, which costs under $11. Can I bake this into muffins? Yes. Follow the baking directions on this post. Can I use frozen berries? Yes. No need to thaw. What other fruit could I use? Really any fresh fruit or berries. Around the winter holidays, I make this cranberry-orange buttermilk breakfast cake. I want to try your recipe but a smaller scale like 6 to 8 pieces. Any suggestions? 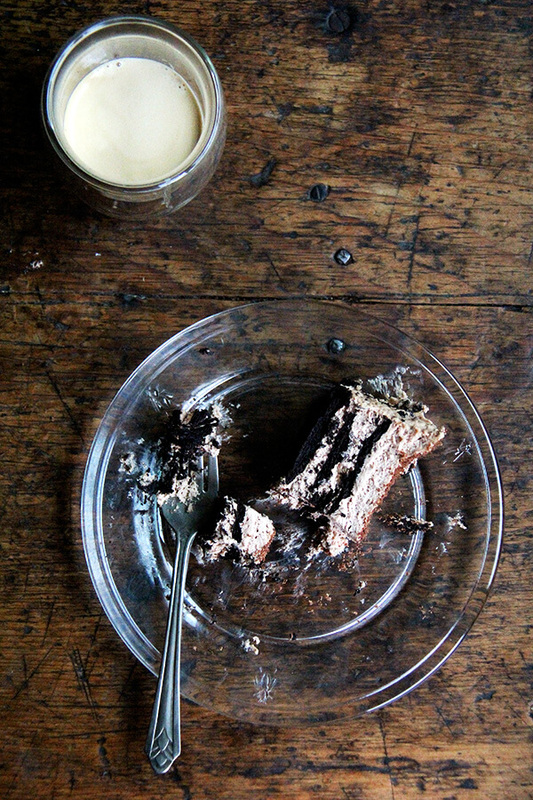 Can this cake be frozen as to not waste what does not get eaten? I make this ALL THE TIME! Tonight I’m making it to use up some strawberries, blackberries, and blueberries I have in the fridge that need to go. This is a whole house family favorite! The past few weeks I have been making blueberry muffin. I use blueberrys from my moms garden. This taste wonderful! Just made this this morning and it was wonderful. The only change I made was sprinkling Turbinado sugar on top instead of regular sugar. Thank you for the great recipe! Hi there, if I make the batter and pour it into the pan the night before I need the cake, can I refrigerate it as is and bake it in the morning? The first batch was so good that it didn’t last long. For the second batch, I made 12 muffins and Convection Baked 325° for 30 minutes. I wonder how long these will last! 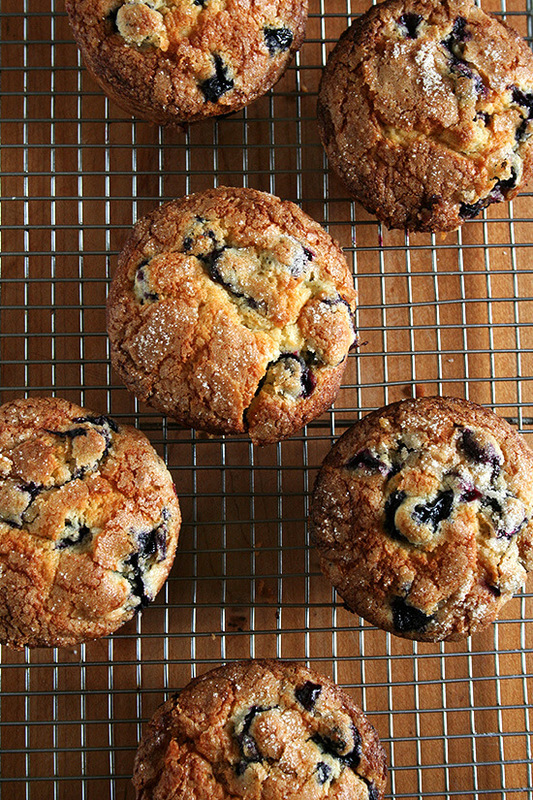 This is the best blueberry bread of all time! I made it again within a week! Thanks for sharing! Ever try freezing leftovers for fast school mornings? HI, Instead of the lemon rind can I just use Lemon juice and if so what would the measurement be. I was wondering the same thing. DID you try it? 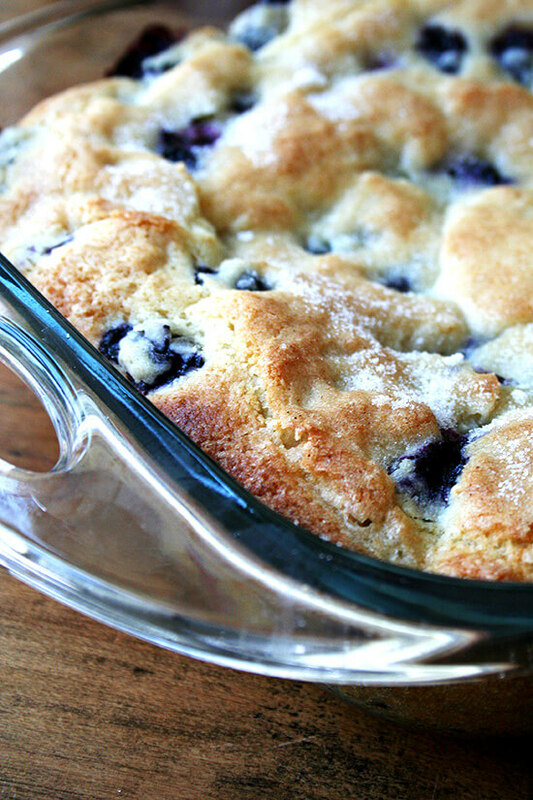 I made this last weekend and subbed in 1/4 cup cornmeal because I love it with blueberries. OMG, we adored this cake. 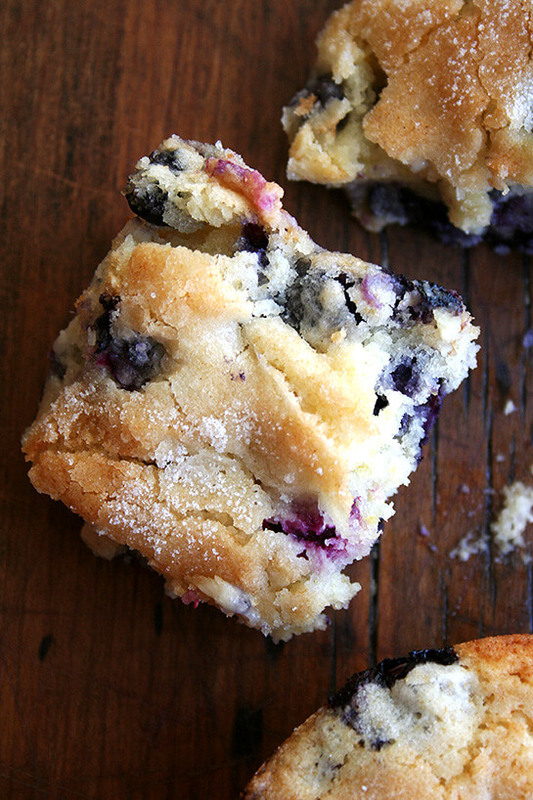 I will totally be making this again, and I’m sure I’ll make it in the winter with frozen blueberries. Do you know the nutrition facts for this recipes? Could a crumb topping be made and put on this coffee cake? I want to make this for my family for a post wedding brunch but as things will be so busy, wondering if I can make it ahead and freeze it, bringing it out the night before to thaw and cook morning of? Thoughts? Thanks so much! I’m wondering the same thing. I would love to make a few to put in the freezer! BEWARE of typo. It is not 1 cup = 4 ounces. If you print out recipe it shows correctly. If you just copy the pin it is not. Anyway, this is quite tasty. Didn’t have enough blueberries so I filled in with cranberries. I did make it the night before in an 8×8 pyrex dish. Batter is very thick but it turned out good. Made this today and its great, only thing different was I sprinkled slivered almonds to the top! I have made this 3 times now, and it has turned out so so good. I doubled the batch into a 9×13 and just started checking the doneness around 40 mins. 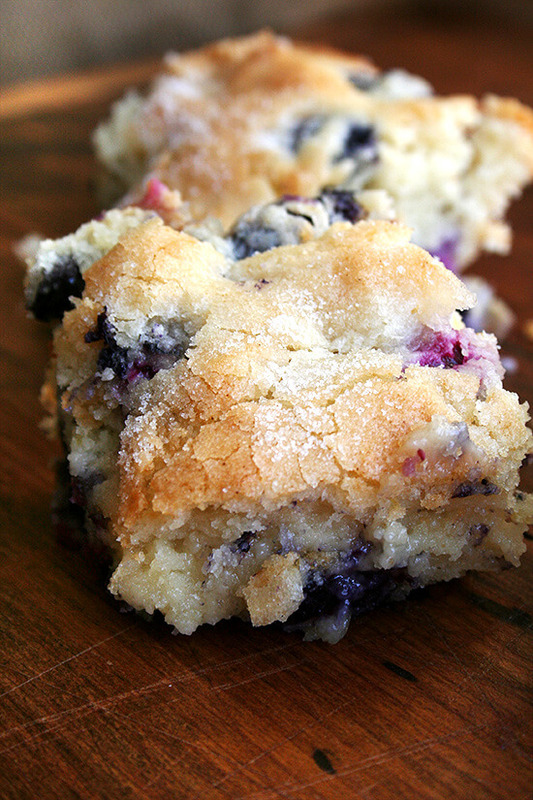 I also made a crumble topping from a Blueberry Buckle Cake recipe… and IT. IS. AMAZING. 1/4 C butter. Cut in butter to mix of spices and spread on cake prior to baking! Made this for my family and it was good but not great. All the other reviews are so positive so maybe it just me. We used fresh blueberries and found 2 cups to be way too many. Maybe it works better with frozen blueberries? But I’m not sure if I’d try this again. What’s the calorie, sugar, carb break down please? Worth a shot! I’ve never done it, but I absolutely would if I were in the same boat. Go for it! Thanks for the recipe. Made this today everyone love it. Looks like I have a new breakfast favorite. 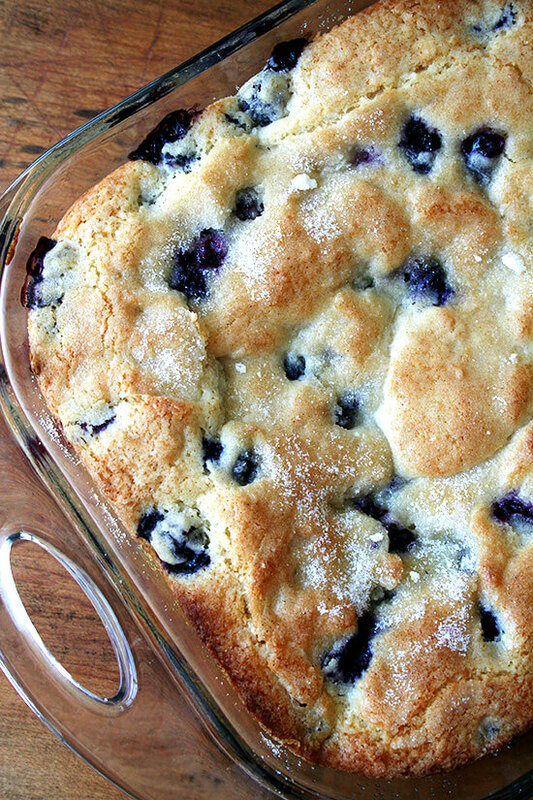 I made this today but I cut the recipe in half since I didn’t have enough blueberries for the exact measurements. I also didn’t have organic lemons to zest so I ended up using 1 tsp of organic lemon juice. It was quite lovely! 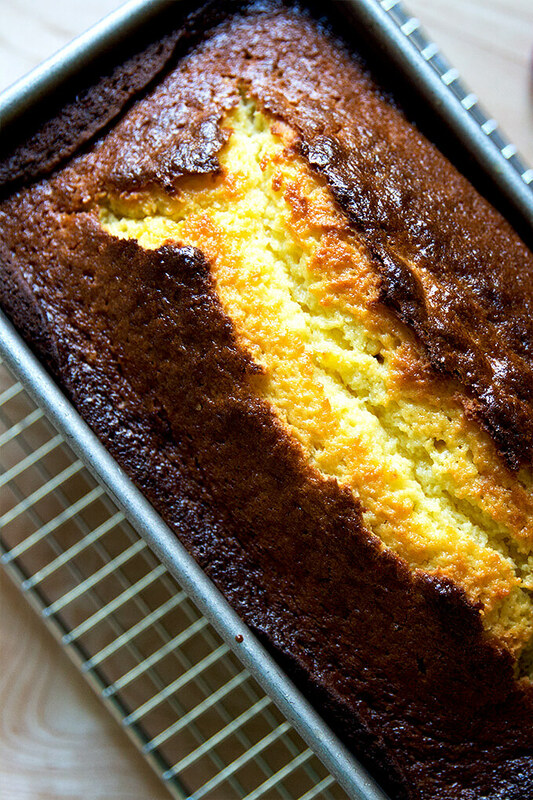 OMG – this was so delicious, I followed the recipe but made it more lemony …I used zest of 2 lemons and when substituting for buttermilk, I used 2 heavy tsps of lemon juice in milk. 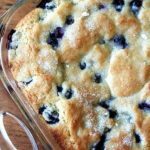 I didn’t flour the blueberries but the batter was so thick it didn’t matter – while it baked the aroma told me it was gonna be terrific! Thanks for sharing this recipe, it will be my go to every time I want a little something, Blueberries and lemons…can’t be beat!!! So happy to hear this, Terry! How could this recipe be made for a paleo diet? HI there. After all of the great reviews I can’t wait to make this. Just one question…..can it be frozen after baking? Absolutely DELICIOUS! So good my family asked me to make it again (and triple the recipe) the next night! … the texture is so fluffy. The flavour is amazing. BEST CAKE I’VE EVER MADE! Wonderful to hear this, Johanna! We have been making this for years from this recipient! It is a favorite to add to our breakfast for dinner meals!! Thank you for sharing! So you didn’t use any buttermilk? How was the consistency? I bake gluten free and am trying to get away from dairy. I made this follow direction it came out hard I don’t what I did wrong ! Absolutely delicious – everyone at brunch loved it! I made it in an 8″ springform pan because I wanted it to look extra pretty on a cake stand. Turn out perfectly, and the wedges were a a beautiful presentation.